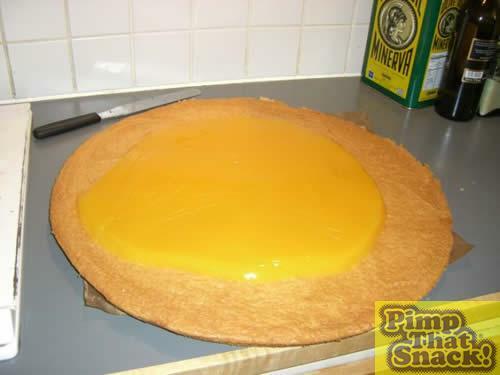 Many hours later and our tangy bit had set and the sponge had cooled enough to stop it melting on contact. The question was whether to place it dead centre or to one side – as so often happens with the shop-bought variety. Well, the result was decided on it's own. 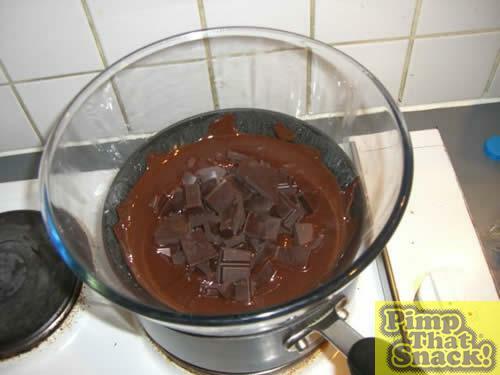 Now for the tricky heating and melting of the chocolate – a bain marie and don't be tempted to stir until it's done. 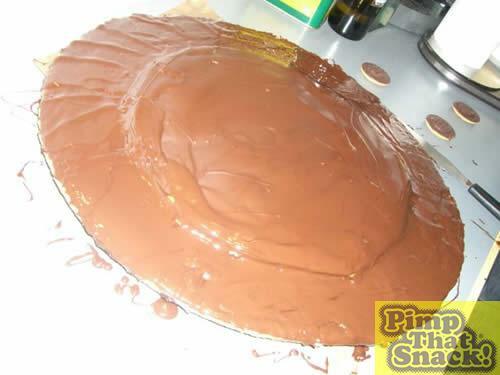 The chocolate was applied and the beast almost looks as if it comes from a cocoa-based outer space. Finally the pattern is applied. And the final results are spectacular. 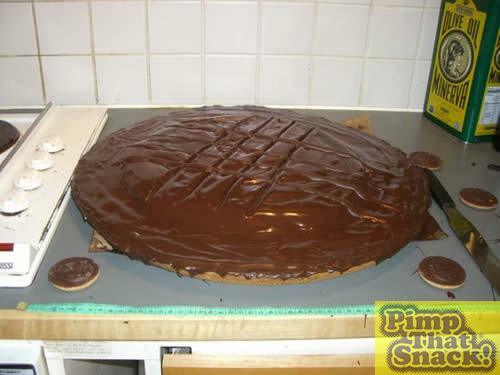 55cm in diameter. And look at the hob for a size comparison. And the tape measure. And the full-size original type Jaffas. Take that Jaffzilla. We will never be defeated.